When we make an iconic jacket we want to do it right, that's why we partnered with Scottish mill Halley Stevensons who are world-leaders in creating waxed cotton canvas. 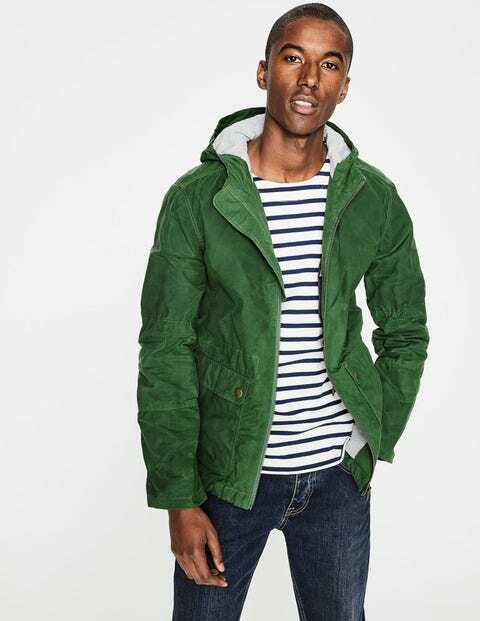 With a showerproof finish, handy hood and functional pockets both inside and out, you'll be hard pushed to find another jacket that as practical and stylish. The adjustable drawcord waistband is finished with smart metal trims and gives you a tailored shape, while the brushed marl lining will keep things cosy and comfortable.